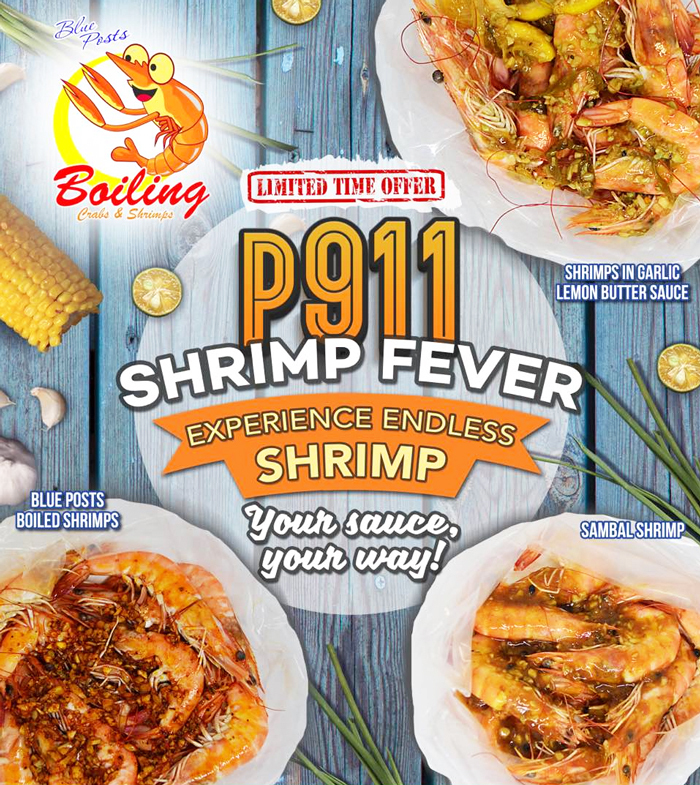 Blue Posts Boiling Crabs and Shrimps, Davao’s most sought-after seafood restaurant, is up with the hottest fever in town – The 911 Shrimp Fever! It’s an unlimited shrimps offering starting October 30 until December 8, 2017 from 10AM to 5PM, Mondays to Fridays in all of its branches nationwide. 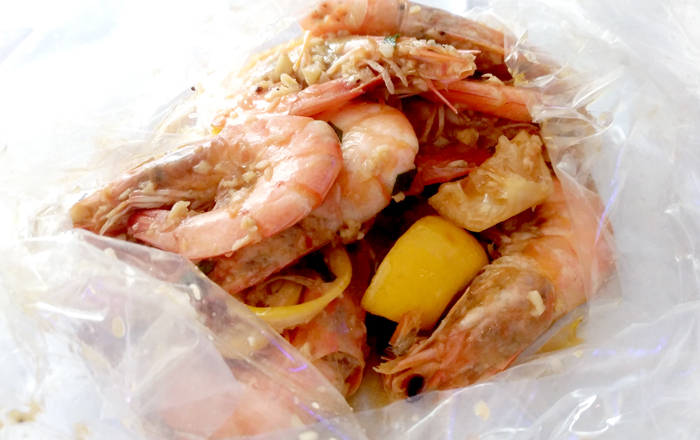 Foodies out there prepare to get into unli-shrimp battle as this seafood goodness will be served in three bags in three Blue Posts signature flavourful sauces – The Classic Blue Posts Boiled Shrimps, Shrimps in Sambal Sauce and Shrimps in Garlic Lemon Butter Sauce. Just a little backgrounder for first timers, dining at Blue Posts is an event in itself. The moment you enter the restaurant you’ll be greeted with nautical ambiance with writings on the wall reflective of those long-time-ago pirates letting you know they’ve been there. You’ll then be assigned one courteous staff to help you get into your orangey Blue Posts bib and will at all times assist you to get what you wish for on your table. Remember their hashtag #ItsFunToBeMessy? Well, this translates literally here. May I also remind you that Blue Posts is one of the eco-friendly restaurants in the planet - no plates and no spoons needed here, just your able bare hands peeling all the shrimps from the saucy food-grade bags. In our own words – kamayan po ang kainan dito! I bet you get to enjoy your shrimps more when you eat it bare hands, so go and live with the hashtag #ItsFunToBeMessy. “Here, dining with bare hands is the norm. Once the food-grade wax paper is set before you, you’ll be accompanied by a Blue Posts bib. Prepare for a messy but satisfying gastronomic adventure. It’s always fun to be messy with Blue Posts,” said Anthony and Jen Ang, the owners of the resto. During the promotion’s bloggers and media launch here in Davao, a challenge was posted! 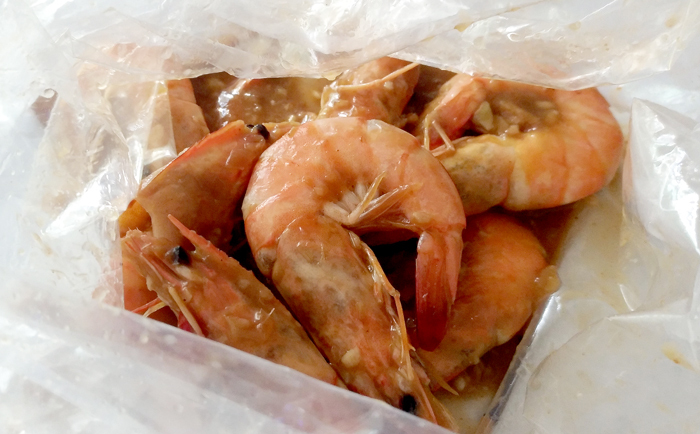 The 911 Shrimp Fever Eat-All-You-Can Challenge. We had Vanessa of foodiemom.me and Roxy of katkatrocks.com as Team DDI reps. You know, when you have friends who care less about diet and all they could think is just go where the delicious is, you're with the right people ..... you can’t help it but be proud for them on the sidelight ... After all, the people who love to eat are always the best people, right? Kaya laban sa kainan! 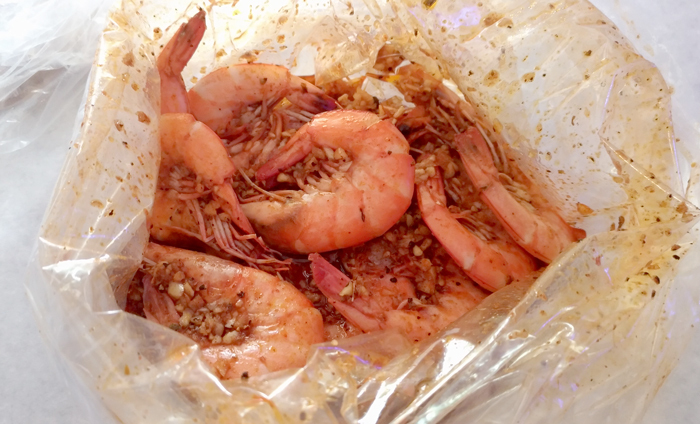 polishing off six bags of shrimps in three sauces in six minutes tops. Beat that! Hahaha! It's always fun to be messy here! This is the 23-yr old Blue Posts along JP Laurel Avenue here in Davao City. This is their first branch and where it all began. Today, Blue Posts has three branches here in Davao - the Bajada, Lanang Business Park and SM Ecoland. There are three in Metro Manila – SM North EDSA The Block, SM Mall of Asia and O Square Green Hills. Three other branches are underway in the next 12 months. The latest will soon operate in Seascape Village in Pasay City. The 23-year old Blue Posts has also announced that they’re extending footprints outside of Mindanao and Metro Manila. 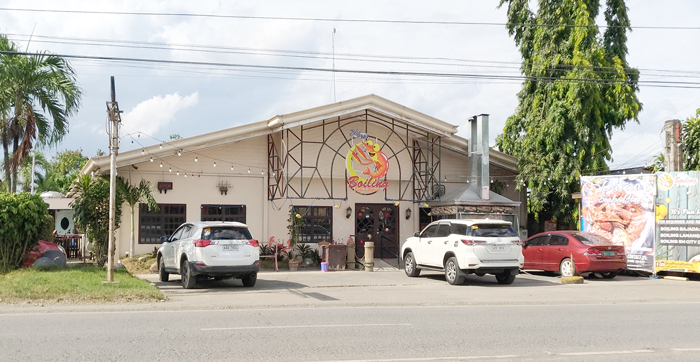 Blue Posts sure has gone far and beyond and we’re proud not only for the excitement and satisfaction they offer their guests through their exceptional seafood flavours but them also having roots here in Davao, indeed #ProudDavao. 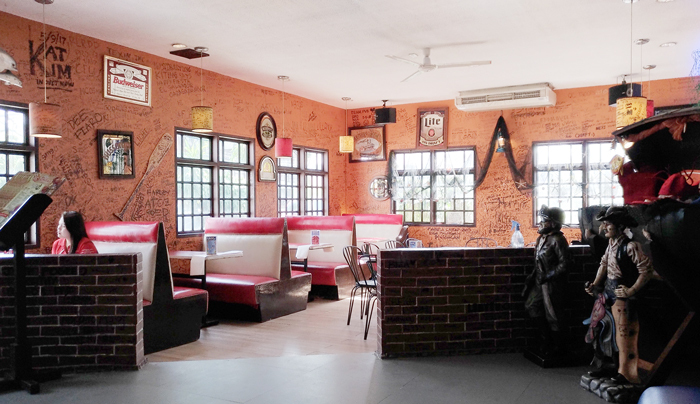 So if you’re planning to head up to Blue Posts for your unlimited shrimps fix soon, here are few things you should remember! Excess shrimp will not be valid for take-out. Available from 10am to 5pm, Monday to Fridays. Promo runs from October 30 to December 8, 2017. Can be availed in all branches in Davao City and Metro Manila. This I guarantee, Blue Posts will serve you refills freshly cooked everytime! 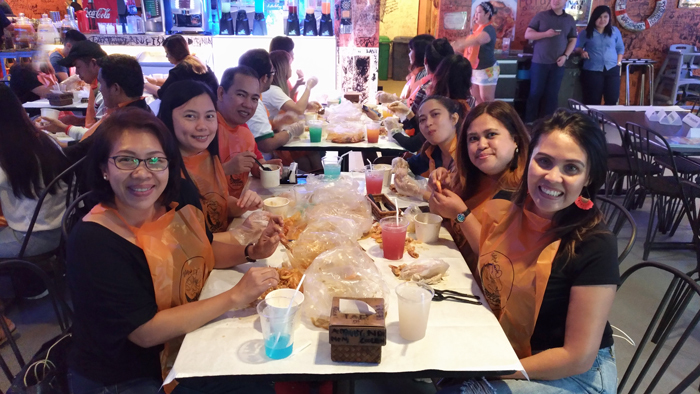 So gear up for the 911 Shrimp Fever battle and bring the whole house for an unlimited shrimp feast.